The race is on: consumers who buy four new Yokohama tires from now through September 30 will get a free Spartan race entry, valued up to $190. Details of the promotion are at www.yokohamatire.com/spartan. Yokohama is the Official Tire of Spartan U.S. Spartan is the world’s largest obstacle race and endurance brand. Yokohama is also a sponsor of the 2018 Spartan World Championship, Spartan Pro Team competitors Faye Stenning and Robert B. Killian Jr., and adaptive athletes Misty Diaz and Jonathan Lopez. 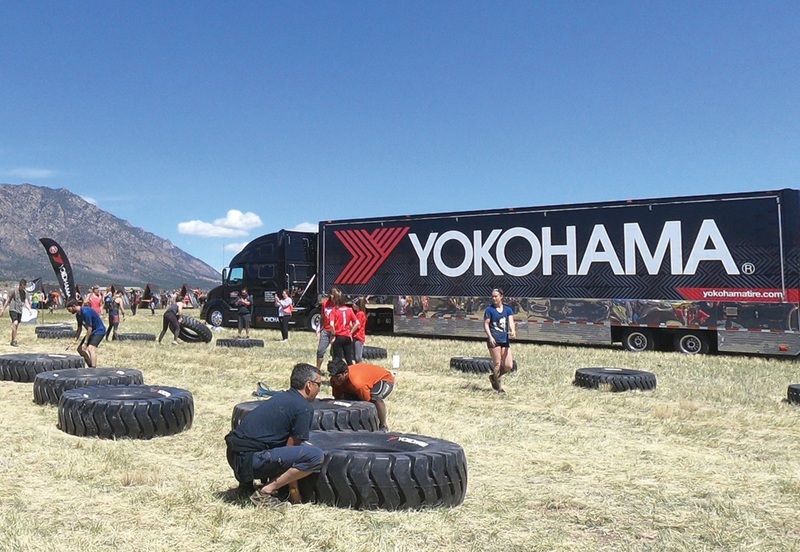 Yokohama tires are used by Spartan race participants competing on the obstacle course in the “Yokohama Tire Flip,” a true test of conditioning and strength. Spectators also get in on the action by stopping at Yokohama’s booth at each race to try their tire-flipping ability as part of the Yokohama Tire Flip Festival Challenge. Spartan is the world’s largest obstacle race and endurance brand, and the first in-sport to feature timing and global rankings. With more than 200 events across more than 30 countries in 2018, Spartan will attract more than one million global participants offering open heats for all fitness levels, along with competitive and elite heats. The Spartan lifestyle boasts a community of more than five million passionate social media followers, health and wellness products, training and nutrition programs, and a popular television series, which has made obstacle racing one of the fastest growing sports in the world. Spartan Race events feature races at three distances, 3+Mile/20+ Obstacle “Sprint,” 8+ Mile/25+ Obstacle “Super” and 12+ Mile/30+ Obstacle “Beast,” culminating in the Spartan World Championship in North Lake Tahoe, CA. Visit http://www.spartan.comfor more information and registration.